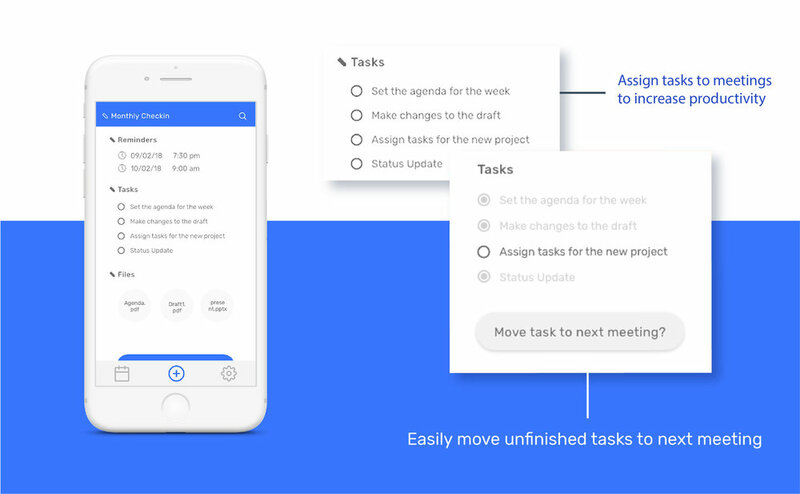 Redesigning an existing chrome extension into a full fledged mobile app to help on-the-go individuals better plan their daily meetings. For this project I worked with Tanya Agarwal and Candy Wang. Everyone has their own schedules and they fill up fast. This makes finding the time to hold meetings more and more difficult. It is common for people to have consecutive meetings with no time in the between for travel or processing information. Having a smarter meeting planner is vital to boost productivity in the fast-paced nature of the urban lifestyle. We interviewed three working individuals, all of whom said they had to rush to attend the latter of their back-to-back meetings. This is stressful and decreases productivity. They also reflected that successful meetings they’ve attended are usually highly structured with key points as guides. Out of the three users that tested our product, two of them said that they were highly likely to recommend this interface to a friend or colleague. However all users gave different feedback on how the usability of the interface could be improved by simplifying navigation and streamlining features. 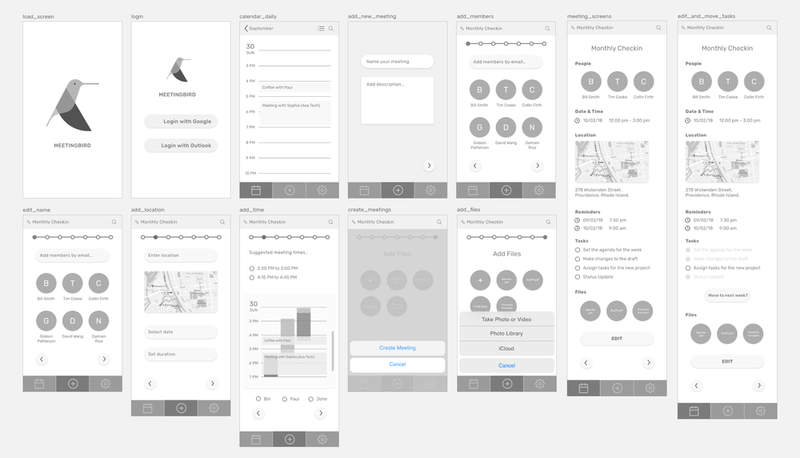 We started with low fidelity wireframes to map out the navigation and layout of each screen. We decided to forego color at this stage which helped us focus more on the functionality of the app. The final screens are high fidelity prototypes which include our color and typography choices.